We thank our partners for their long support. They support us by donating money for our children project in Mae Na Chorn. Our Partners also act as sponsors on several occasions by helping funding activities. 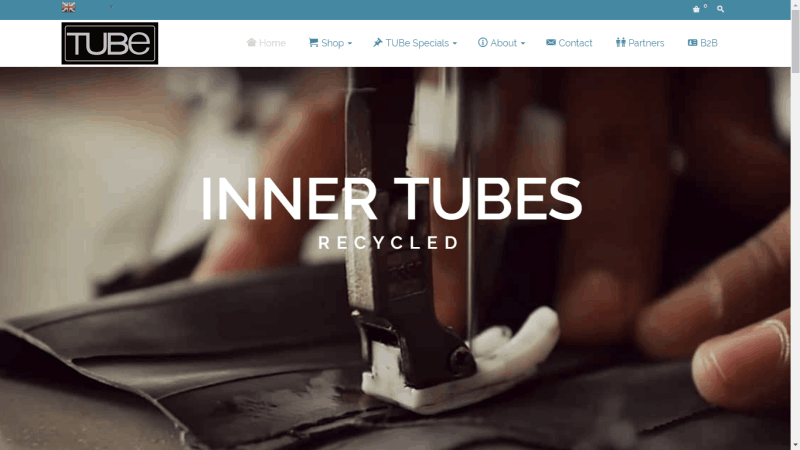 TUBe products are hand made by hill tribe women using recycled materials. Any purchase will provide a sustainable market for them. TUBe assists disadvantaged communities and ethnic minorities to create social entrepreneurs and achieve self-sufficiency. The Rain Tree Foundation is a social welfare organization . 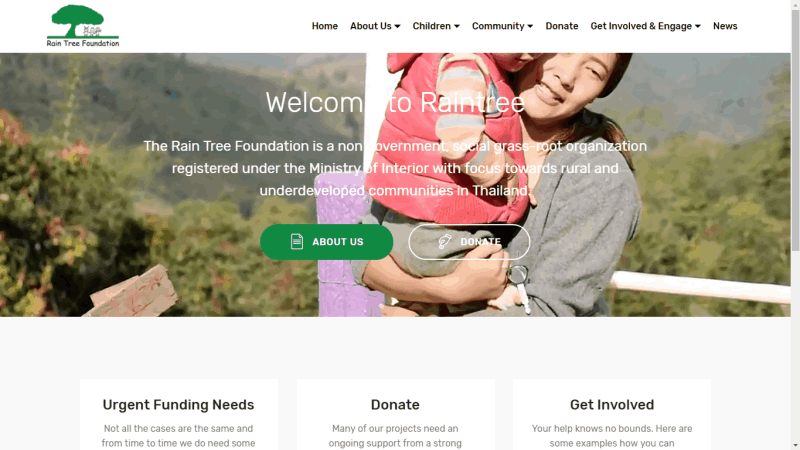 In 2010 the Rain Tree Foundation registered in Germany as a non-profit organization, the Thai Care e. V. (www.thaicare.de). Both organizations are officially registered social charities and are recognized as non-profit from the local tax departments. The main purpose of Thai Care e. V. is to promote our projects in Thailand, manage volunteers and to administrate the foster children program. Basically we are the same organization in two different countries. 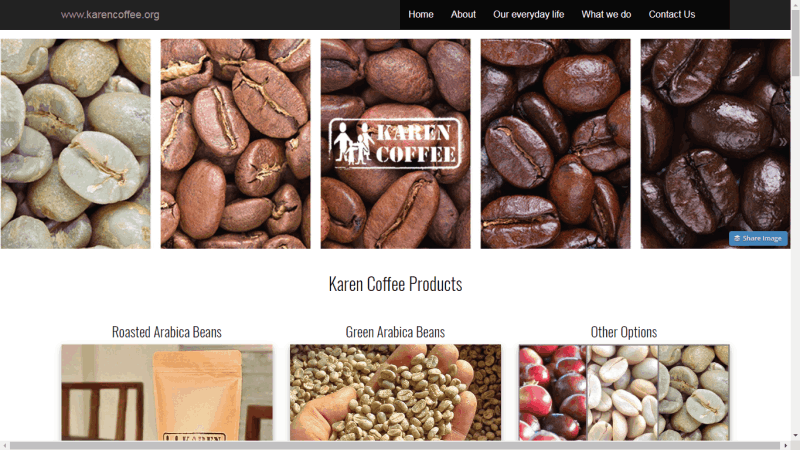 The Karen Coffee is a social enterprise project initiated by the RainTree Foundation to enable local hill tribe farmers to gain access to a sustainable market. Good quality is a result from education, relationships and dedication for the Karen Coffee produced. 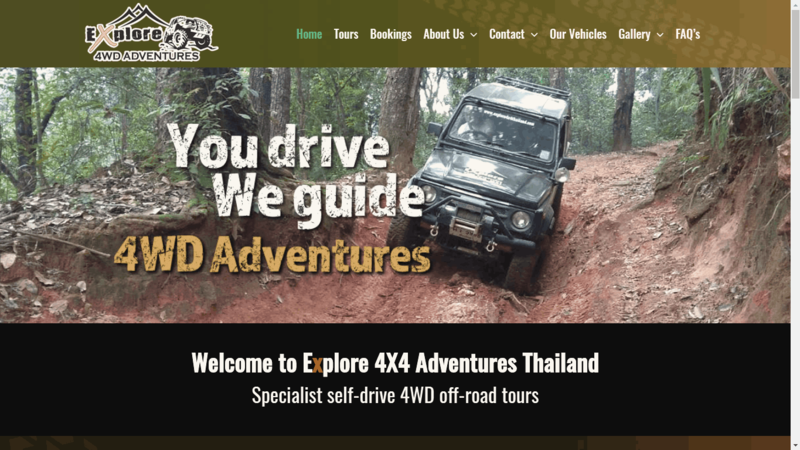 Explore 4X4 Adventures Thailand run a fleet of modified Suzuki Caribbean Jeeps that have equipped to the highest standards. However more impressive than our vehicles and equipment is the knowledge and dedication of what makes an excellent self drive 4×4 off road holiday. 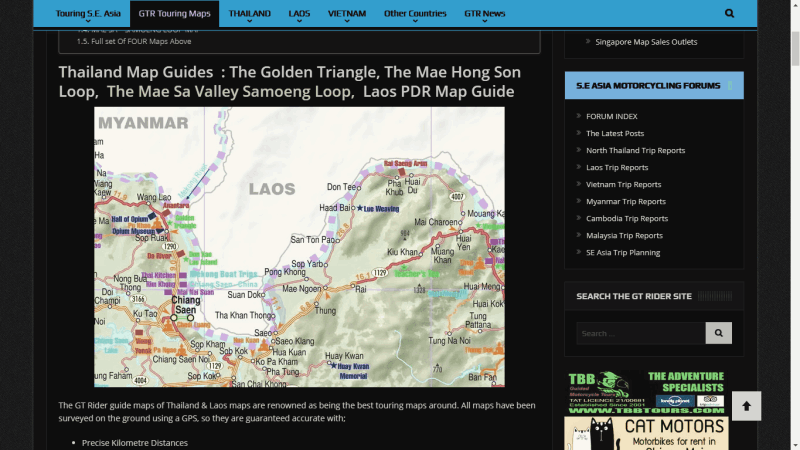 GT Rider maps of Thailand & Laos maps are renowned as being the best touring maps around. All maps have been surveyed on the ground using a GPS. 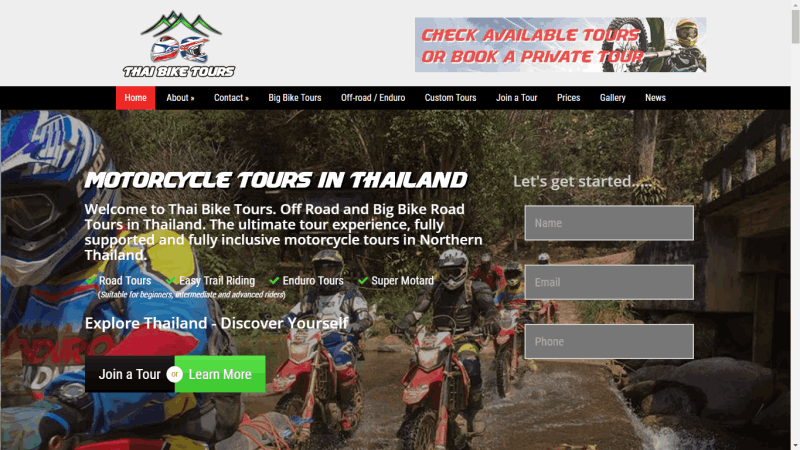 Thailand Bike Tours The ultimate motorcycle experience, fully supported and fully inclusive, motorbike tours incorporating Thailand’s famous Golden Triangle. 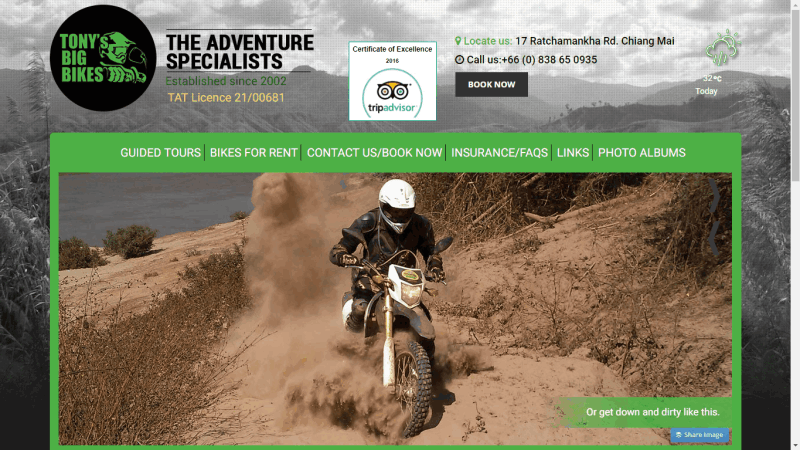 Adventure tours, on or off road bike tours and jungle treks, riding throughout the amazing terrain of Northern Thailand. BigBikeTours.net is all about authentic guided motorcycle tours and adventure motorcycle touring holidays across Southeast Asia. Tony's Big Bikes Run by two Brit expats, Duncan & Jeff, Tony's Big Bikes was originally established by Tony Cooke in 2002. Jeff joined Tony in February 2007. Tony's Big Bikes offers local guided bike tours. 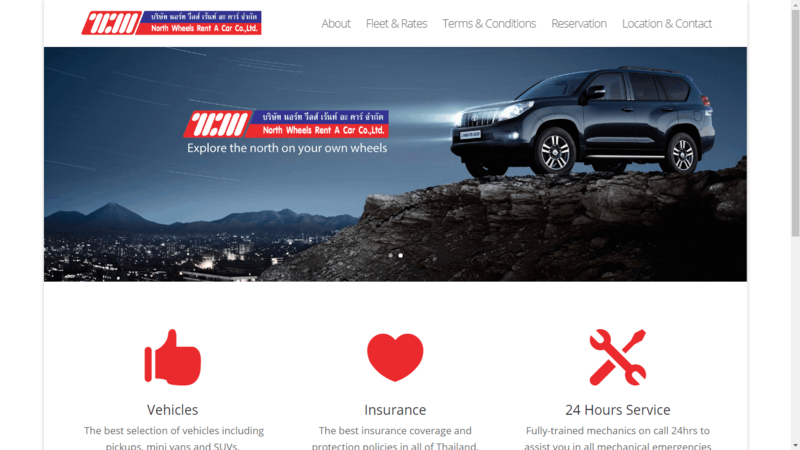 North Wheels provides car rental services with high-quality services: high-quality cars, first-class accident insurance, 24-hour emergency services and royalty which is regarded as the most important thing.